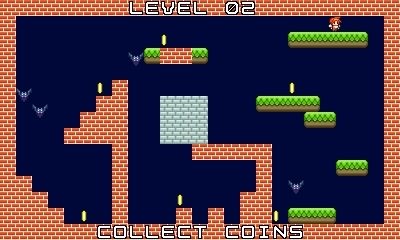 Description Go through ten flights of a cursed building to find the exit. 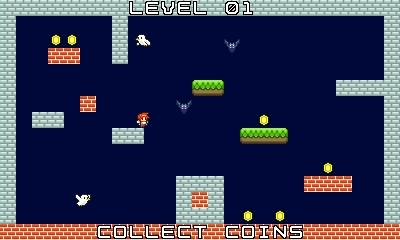 Collect coins to reveal the door. Avoid Birds and Bats they will set you back. Instructions Move the player around with the directional pad or the slide pad. Jump with A.